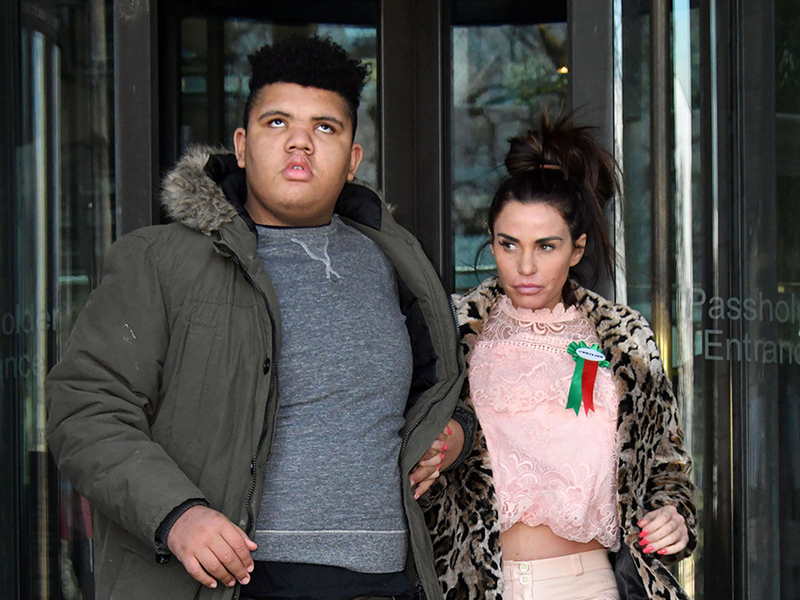 Katie Price’s boyfriend Kris Boyson has hit back at internet trolls after he was criticised over his bond with the former glamour model’s son Harvey. The drama started when 30-year-old Kris shared a sweet photo cuddling up to the 16-year-old, who suffers from Prader-Willi syndrome, on the sofa in his home. But one follower took issue with the snap, and went on to slam 40-year-old Katie’s parenting skills and label the personal trainer as ‘a mug’. ‘Poor Harvey another so called ‘dad’ who’s come into his life,’ the lengthy rant started. 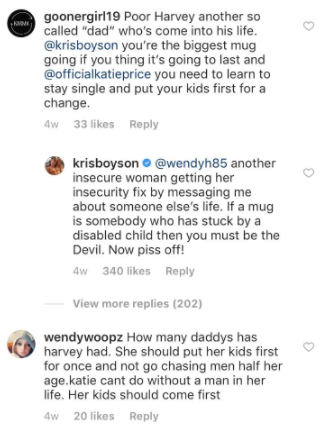 Not taking the criticism lying down, Kris then replied to the follower, hitting back: ‘Another insecure woman getting her insecurity fix by messaging me about someone else’s life. Loose Women panellist Katie first went public with Kris last year, but the pair have had a turbulent relationship since. And things seem to have taken a turn for the worse lately, as reports surfaced that they are on the ‘verge of splitting up again’ after constant rows ruined their latest holiday. 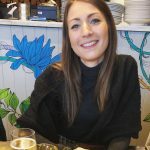 Katie recently jetted to Spain with her boyfriend and her terminally ill mum Amy to film new episodes for her reality series My Crazy Life.